NTEA is pleased to announce Kary Schaefer, general manager of marketing and strategy for Daimler Trucks North America’s (DTNA) Freightliner Trucks and Detroit brands, will serve as keynote speaker at the 2018 Green Truck Summit on Tuesday, March 6. Her speech will address the diversity of available new technologies, as well as ongoing developments in clean diesel, natural gas and electrification. 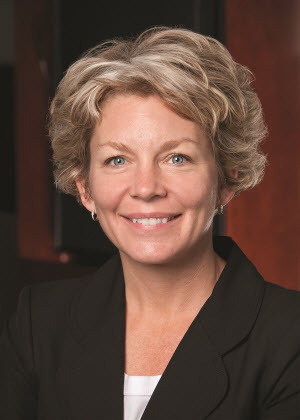 With nearly two decades at DTNA, Schaefer has served as design engineer, project planning engineer, engineering project manager, director of engineering services and chief engineer, before becoming general manager of marketing and strategy for Freightliner Trucks and Detroit brands in 2015. In her current role, she is responsible for market analysis, product planning, brand management and marketing operations. She leads the organization in the creation and execution of product roadmaps from evaluation of customer needs and market trends to early business case development to new product launch and ongoing product management. Held in conjunction with The Work Truck Show, the Green Truck Summit is the industry’s premier conference on clean energy innovations for commercial vehicles. Gain insights from regulatory agencies, fleet managers, commercial vehicle manufacturers, and stakeholders from various industry trade associations and professional societies. Learn more about the Summit. Register for the Green Truck Summit & Work Truck Show Conference & Trade Show Package to hear Schaefer's address. This package also includes attendance to all WTS and GTS concurrent educational sessions. Read more details on all event registration prices and packages.